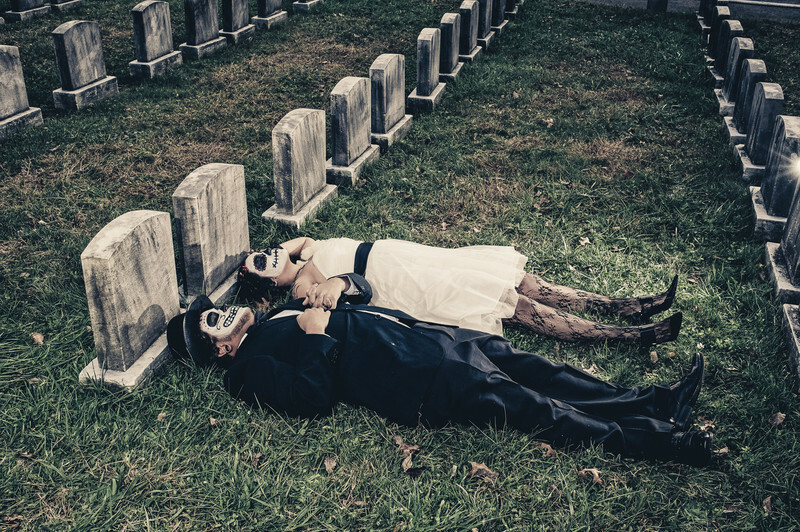 When I photographed this in 2010, I had never seen another Day of the Dead photoshoot. This is a real couple and we photographed this Day of the Dead wedding session. The photo session took place near West Chester, Pa . This session was shown on Rock n Roll bride way back in 2010 and I have shown it at the Philadelphia Tattoo Convention every year since.